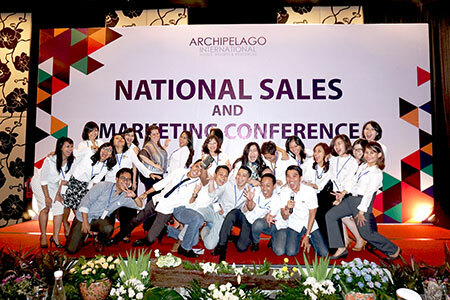 Jakarta, April 29th 2016 - To develop the skills and knowledge of its leaders, Archipelago International, Indonesia's largest hotel management chain, recently gathered all of its sales and marketing leaders across Indonesia and Malaysia to attend the Archipelago National Sales & Marketing Conference 2016 on March 13th – 17th, 2016. Held at Aston Priority Simatupang Hotel & Conference Center, one of the best conference destinations in Jakarta, the five-day event covered five workshops, two advanced workshops, orientation program for new employees, one on one sessions, a sales blitz presented by Archipelago International’s Sales & Marketing team, and joint table top. Archipelago International also held awards ceremony to recognize Archipelago International's exemplary hotels. Awards and cash prizes were granted for Online Marketing Efforts and Best Online Booking Experiences from Agoda, as well as Customer Satisfaction Award, Sales Award, Marketing Award, and Social Media Awards. 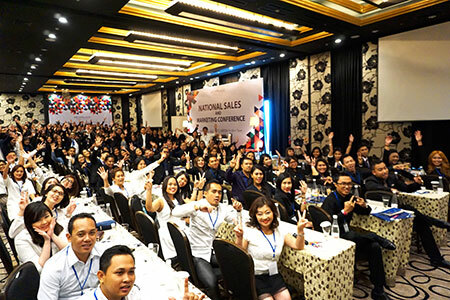 National Sales and Marketing Conference 2016 attracted 180 representatives from 103 hotels, not only Sales and PR personnel, but also Hotel Managers and General Managers. To enhance the hotel units’ Sales & Marketing skills, the workshop covered all the details guidance from all division from Corporate Sales and Marketing Department. Receiving the highest feedback rating from its attendees compared to any other Sales & Marketing conference in company history, this year's fair has been deemed the most successful yet, with over 180 attendees representing Archipelago International hotels.